...time to plug the show! Again! 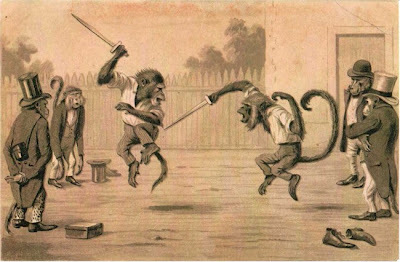 "More fun than an old fashioned monkey knife-fight!" No matter how hard I try, I just can't stop loving this picture. Sigh.